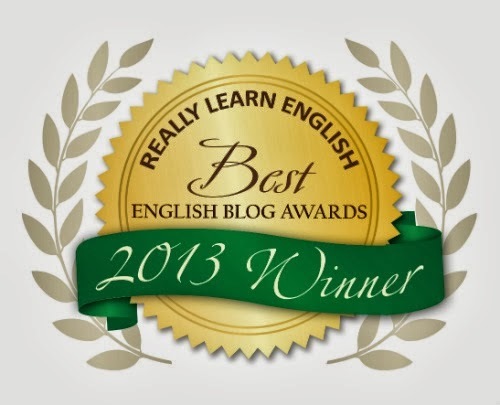 Welcome to my blog about picturebooks in ELT. My intention is to discuss picturebooks, in particular the pictures in them! Why? Because, in ELT we tend to select picturebooks because they contain words our students might know. I plan to write something a couple of times a month, sharing what I discover in my readings; describe new titles I come across; discuss particular illustrators and their styles and generally promote the picture in picturebooks. From January 2008 to December 2011 I benefitted from a PhD research grant from FCT, in Portugal. A research colleague and fellow picturebook lover, Annett Schaefer prompted me to talk about The smartest giant in town, by Julia Donaldson and Axel Shaeffler. Annett lives and works in Germany and she has used this picturebook with primary students there. It's opportune that a book by Julia Donaldson be featured this month, as a couple of weeks ago she was nominated as Children's Laureate, and will be very busy promoting all sorts of book related happenings around the UK between now and June 2013. Congratulations to Julia and may she do many wonderful things over the next two years. Back to picturebook of this post! The smartest giant in town... does outward appearance really matter? George thought so! He was a scruffy giant, the scruffiest in town, "He always wore the same pair of old brown sandals and the same old patched up gown." This is the story of George and his smart new clothes. Julia Donaldson almost always writes in rhyme, though in this picturebook she's mixed prose with rhyme. I often wonder how writers and illustrators work together and whose ideas belong to who - who decides what will be in the illustrations? I found an article in the Guardian which answered my question: Julia readily admits that all the illustrative ideas belong to Axel Scheffler, "He adds so many little witty touches to the books." In this picturebook there are loads of other things to notice, dozens of references to other stories, often traditional ones, which children will recognize almost immediately. Let's start with the covers, the front and back. A great big spread showing us the characters that appear in the story, dwarfed by a giant pair of legs wearing smart black shoes. The title page gives us a cameo illustration of the giant, he's looking forlorn, in old clothes and sandals. It's a contrast to the the title sitting above the illustration, announcing that the giant is smart and we've also just been shown smart looking giant legs on the cover, so it gets our curiosity going and already we are wondering whether this is the smart giant we are going to read about. The opening spread shows us a busy street scene: it's a land of make believe, filled with normal sized people, giants and creatures wearing clothes, some taken right out of well known traditional stories. Do you recognize any of the characters in this illustration? Could the two children by the fountain be Hansel and Gretel? There's Puss in Boots and a dwarf from Snow White for sure, and the fountain is reminiscent of The little Mermaid. Can you see the sign right on the edge of the recto page? "NEW! GIANT SIZES", a clue for what might come next! And sure enough! This is just what our giant happens upon, a shop selling smart clothes, and they have his giant size! He buys a whole set of new clothes, and becomes "... the smartest giant in town". I love his socks, "with diamonds down the sides". A sign of true smartness! George the giant leaves his old clothes in the shop and off he goes looking terribly smart. But of course something has to happen, he meets a sad giraffe, whose long neck is terribly cold. I'm the smartest giant in town." Look at the illustrations on this spread. A lovely looking giantess quite fancies our George; there's one of the pigs from Three little pigs; another dwarf; a studious rabbit is peering at a "MIssing Giraffe" poster; a man carrying a chicken; there's a rabbit using a mobile phone. Children will notice and want to comment on these features. There is so much going on. George of course continues oblivious to the activity around him! And so George meets a family of mice, whose house had burned down. He gives them his ... shoe of course! It's reminiscent of "There was an old lady who lived in a shoe"! He then met a fox, who was crying next to his tent because his sleeping bag was wet. So George gave him his very smart yellow sock with diamonds down the side. Then he met a dog who was stuck in a muddy bog, so George gave him his belt to cross the bog. And of course as you look at these different spreads look out for more of the three little pigs and a princess and a frog! ... and his song has got quite a bit longer! My belt helped a dog who was crossing a bog ..."
But oh dear, what happens? With no belt, his trousers fall down! And now he's cold and "not at all smart". Poor George! So he decides to go back to the town and find his old clothes. Lucky for him they were outside the shop in a very large plastic bag. Once he had his old clothes back on he felt like "the cosiest giant in town!" and was quite content. But that's not the end! Waiting for him back at home were the five animals he had helped. They had made him a very special crown and written a thank you letter. And so George became the kindest giant in town! The illustrations in The smartest giant in town support the words very closely, but the additional mini-stories that appear via the ad hoc appearance of other story characters leave lots of space for chattering and wondering. Annett describes observing a teacher in Germany who let the children talk about the illustrations in German before she read the words on the page. She did this with 6-7 year olds and 8-9 year olds, who have 50 minutes of English once a week. She described the process like this: " The teacher being [very] experienced and knowing the children very well gave them a lot of time to speak about the pictures in the mother tongue just supplying individual words in English here and there such as animal names (frog, squirrel) for example before reading out the text on one page in English." I really like this idea, and it's something I do a lot when sharing picturebooks with children and upon rereading picturebooks children begin to describe and label illustrations in English. Annett presented at a conference about this picturebook and a section of her presentation was summarised thus: "Although the children’s initial responses prompted by the pictures in the book were exclusively in their mother tongue, Annett argued that they are nonetheless facilitating L2 learning. By reading the pictures and talking about them, she stated that children construct a framework of possible meanings that may become more elaborate and more precise as they decode visual images and language structures during repeated storytelling sessions. 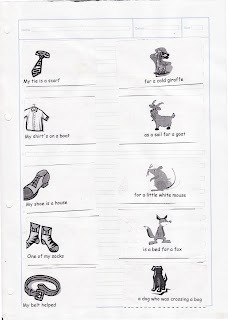 The pictures act as a form of scaffolding device in the same way as recurrent language structures in the literary text provide an ‘entry point or way into the story’ (Cameron 2001: 163). Annett stated that the children’s first language was an invaluable aid in that process as individual words used by the children in their L1 can be taken up by the teacher to introduce new language items in the L2." Rereading a picturebook is essential in enabling the L1 to support the L2, I can't emphasise enough the importance of sharing a picturebook at least three times with a group of children, not only does it help them move from L1 to L2, but it also gives children time to look and listen and understand, each time they'll pick up something new and different. As EFL teachers we focus on children's imitation of the words on a picturebook page, but in fact the illustrations also have significance, and words are needed to describe them. I've been saying this at conferences, but I'l say it again, picturebooks are pictures and words and both can be used to promote language use. Annett described some follow up activities which are nice to feature here too. She used a handout from the British Council in Hong Kong, which can be down loaded here. 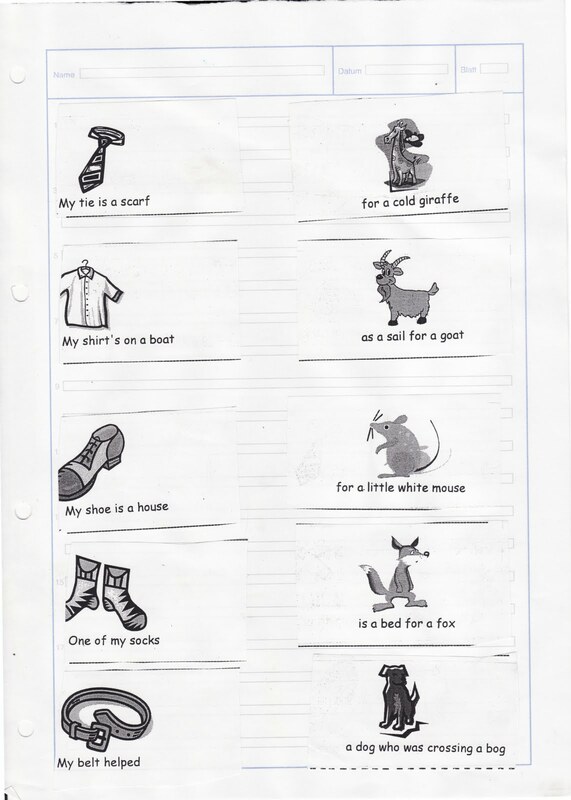 Here's a scan of the mix and match activity the older children did. As you can see, the song is an excellent way to focus on language, as it's repetitious and cumulative. They also looked at thank you cards, which they wrote in German, though a similar activity could be done in English with children who are more confident in their writing skills. Cameron, L. 2001. Teaching Languages to Young Learners. Cambridge: Cambridge University Press. SUMMER STORYTIME is here again! Three super sessions!